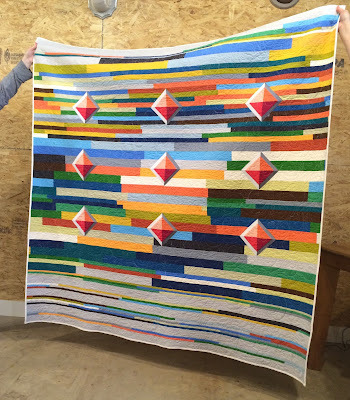 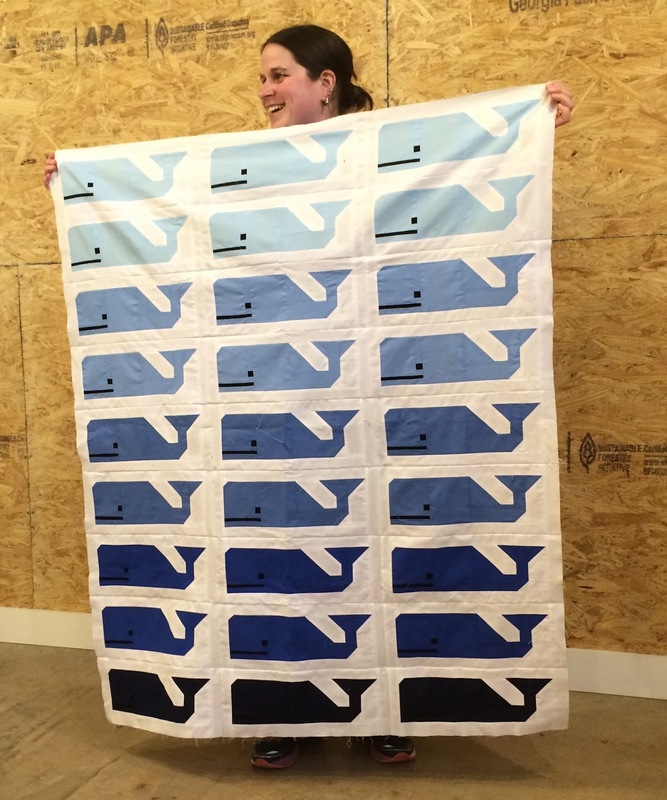 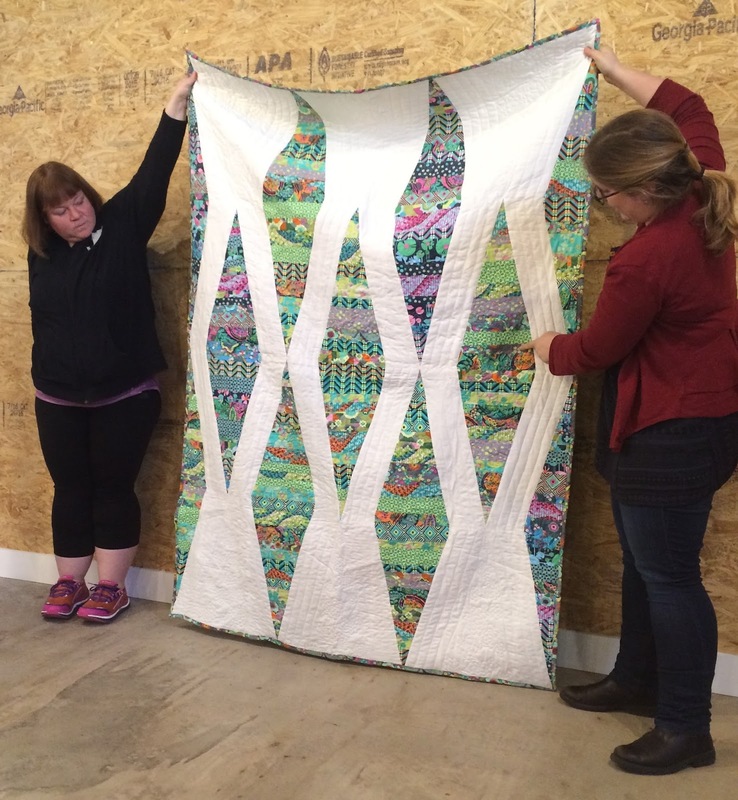 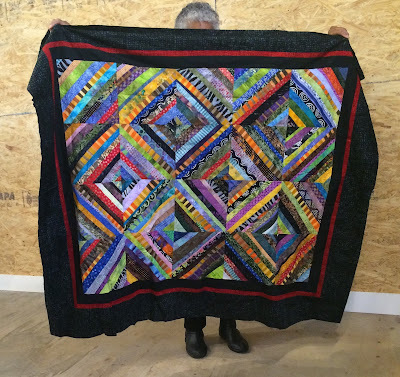 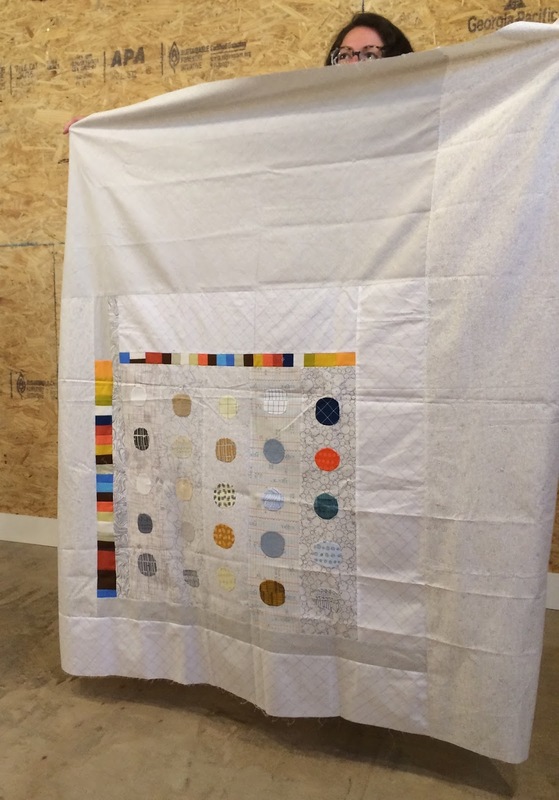 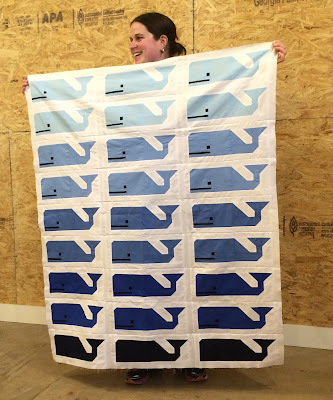 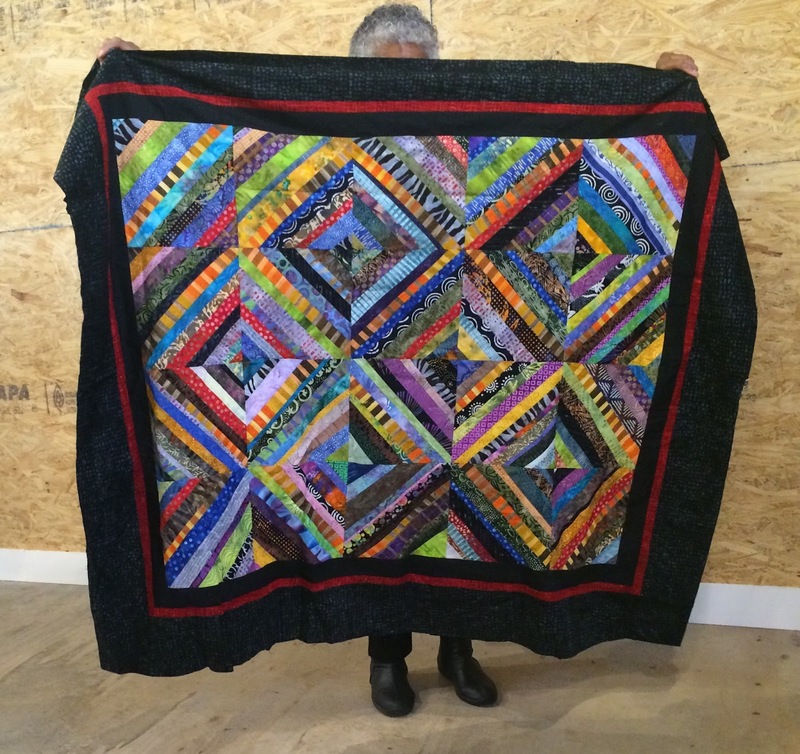 The Cambridge Modern Quilt Guild has been busy this month! 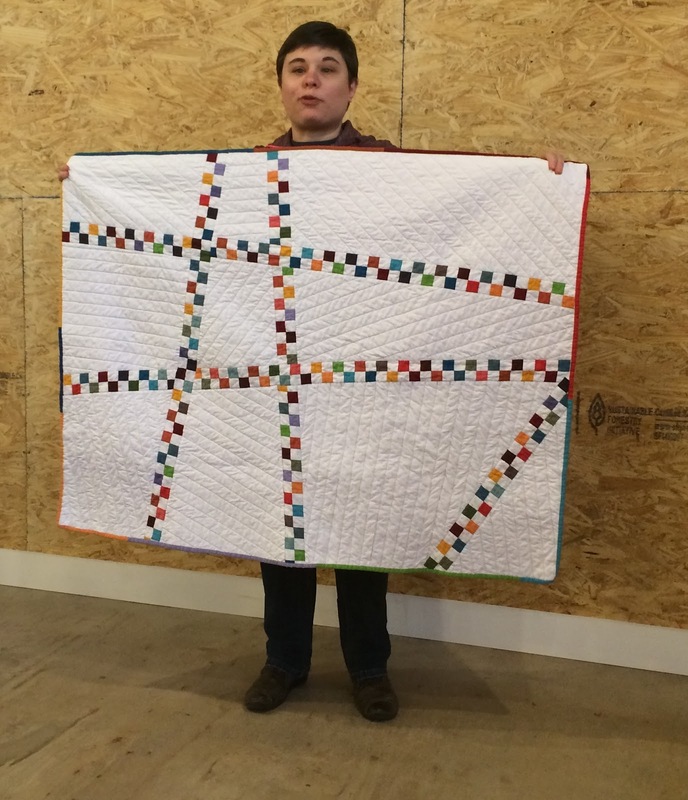 Head over to our Projects page to learn about about how you can participate in our Lottery Block Challenge with squares due at the June meeting. 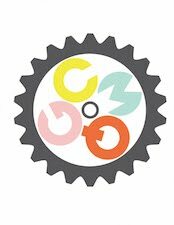 Also check out our Meetings page to discover some of the fun things we have planned and our Membership page to see the benefits of signing up. 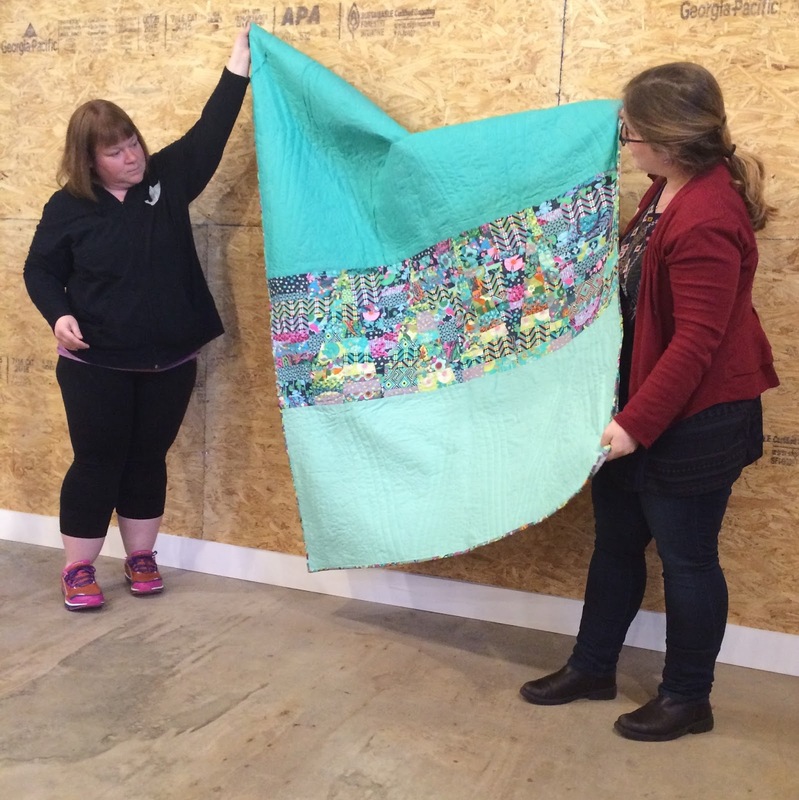 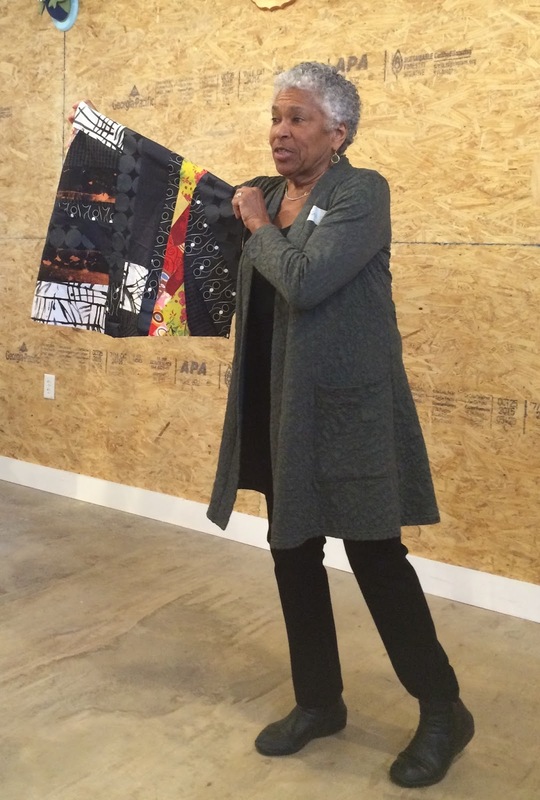 Join us at our April Meeting to learn how to quilt-as-you-go. 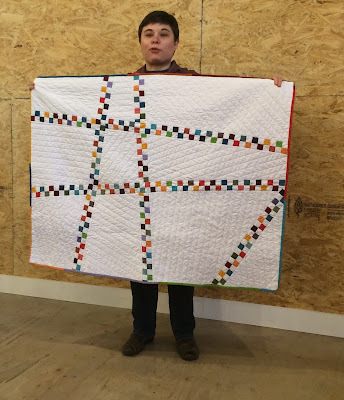 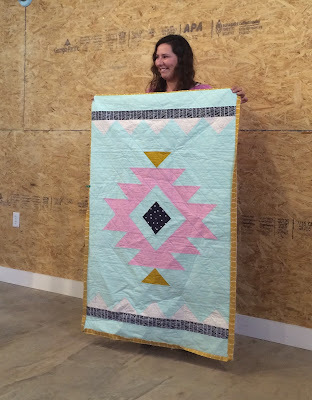 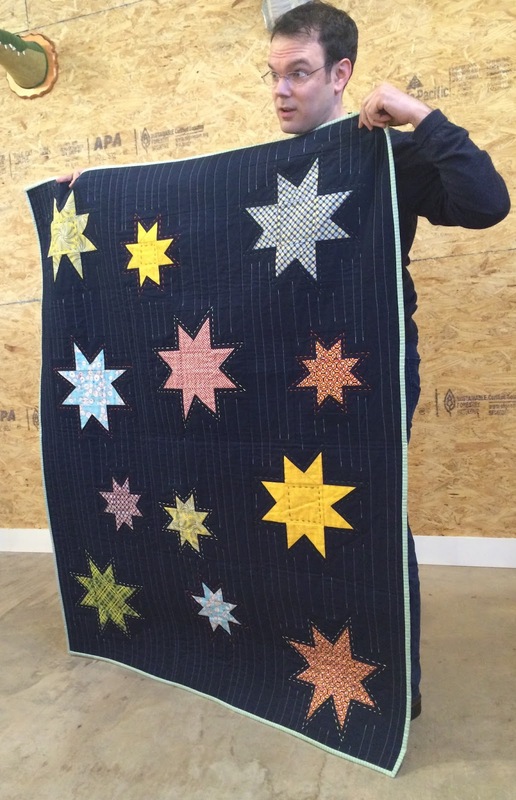 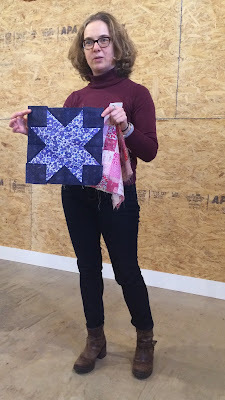 Bring your sewing machine, batting and pieced tops (or just fabrics to make pieced tops) and Allison will show us how to connect the squares that we will then donate to Soy Amado. Click on our Giving Back page for more information. 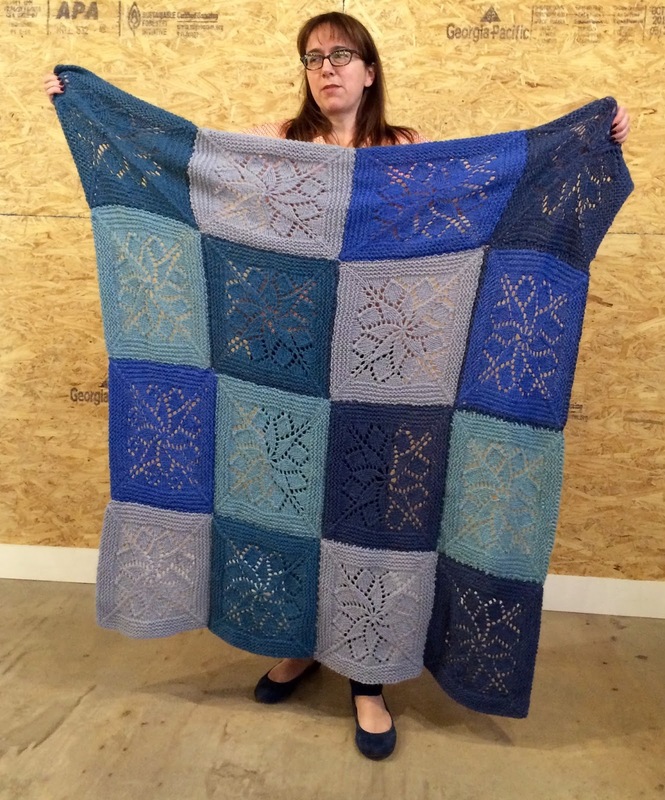 Wait a minute... well at least Julie made it to to keep someone warm! 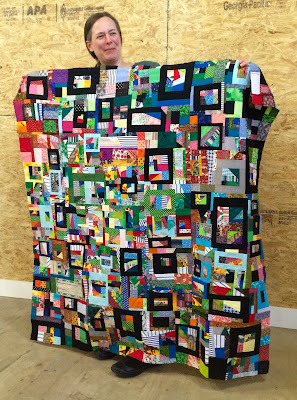 Maritza's newly finished Aerial Grove top is ready to quilt!